Blake Frohnapfel wins the Desmond "Tuss" McCaughry Award as Western Mass' top student-athlete. Impressive work by Frohnapfel as he graduated from Marshall in three years and added double Master's degrees in two years at UMass. The Detroit Lions recently met with Frohnapfel. CBS Sports has Frohnapfel as the #23 QB in the 2016 NFL Draft. Coach Costello's UMass bio. His UMass player bio. FWIW, I would predict Bailey-Smith and Teddy Lowery as starting safeties and James Oliphant and Jackson Porter at corner. In August the Minutemen will also add their highest-rated ever DB recruiting class. Victor Cruz says he's in it for the long haul with the Giants. Victor says he wants to stay a local hero. 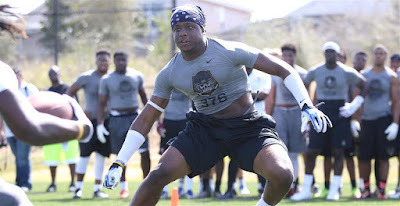 A number of recruiting services report UMass has offered to Avery Roberts a 6-1 215 pound ILB from Wilmington, DE. Currently, the Minutemen are not in his top six. Roberts has 25+ offers including UMass, Temple and BC from the Northeast. BYU, a FBS independent like UMass, gets a contract extension from Virginia. 18,000 fans showed up for the Cougars' Spring game last weekend. Family tragedy forces starting BYU QB Taysom Hill out of the Spring game. Hawaii, another 2016 opponent, gets going with new energy under HC Nick Rolovich. Old Domion hopes to have a new 25,000 seat stadium. That amount of seating capacity, with a new concessions/restrooms facility would do it for UMass. Neal Brown's Troy University Trojans are dealing with some injuries during Spring Ball. OT, but congrats to UMass Hockey on their new coach. Check out Fear the Triangle blog for a write-up on the hiring. I want all Minutemen teams to do well; a rising tide lifts all boats. Go UMass! Several recruiting services indicate UMass has offered to Anthony White, JR, a 6-1 185 pound WR from Miami Central HS in Florida. UMass is in his top six schools. White holds 12 offers from FBS schools. A.J. 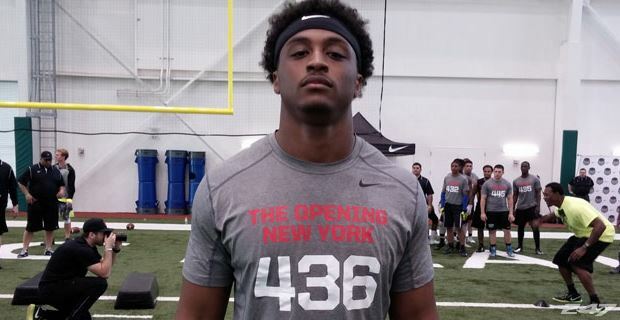 Dillon, 247Sports' topped ranked Massachusetts recruit, has verbaled to Michigan. 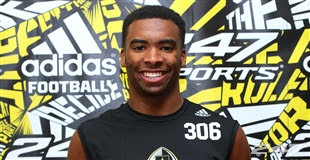 Dillon had offers from both UMass and BC. JUCO CB Kobe Marfo verbals to Rutgers. Had interest but no offer from UMass. Andrew Cyr of the UMass Daily Collegian features UMass defensive lineman Peter Angeh. Victor Cruz is progressing in his latest rehab. NJ.com has a detailed look at his renegotiated contract. Tulane looks to to replace their two top WR's in 2016. Our other Louisiana opponent of 2016, Louisiana Tech looks to replace 8 of 11 starters on defense. It's a two-man race for South Carolina's new starting QB. Several recruiting services indicate UMass has offered to Cody Shear, a 6-5 265 pound OL from Eugene, OR. This article from February 2016 features Shear. Shear currently has nine FBS offers including Central Michigan, Toledo and Ohio in the MAC as well as 2016 opponent Tulane. 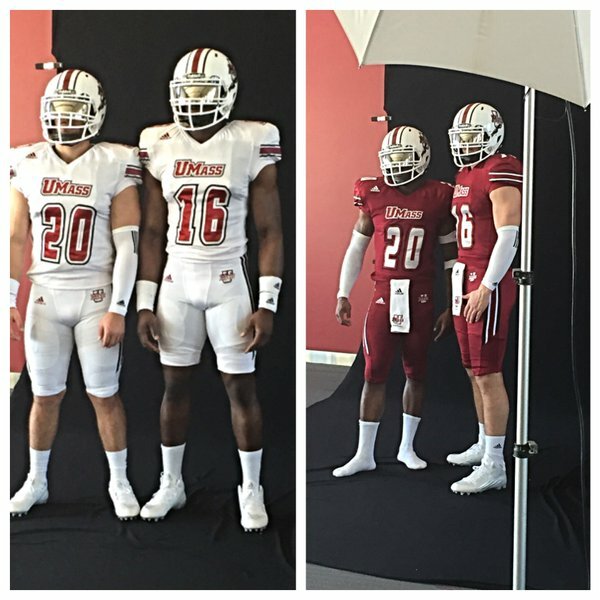 The UMass Football Twitter feed had the above image as a photo-shoot. Note the MAC patch is gone and the maroon and black accent stripes have returned to the helmet. UMass played without the helmet stripes in 2015. Image above is one I took at the LOI Day meeting in February. Campus Insiders looks at BYU's 2016 schedule. Speaking of the Cougars, BYU just suspended a player for stalking. Mississippi State's top 2016 recruit gets in trouble for striking a woman. South Carolina loses starting QB Perry Orth for Spring ball with a broken collarbone. As long-time readers know, I'm an active amateur astronomer. So with a distinct touch of envy, I congratulate UMass undergraduate senior Kevin Harrington who used UMass' Large Millimeter Telescope to discover "outrageously luminous" galaxies. The LMT's website is here. Mrs Blog and I would like to wish everyone a Happy Easter! 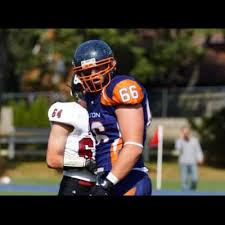 Several recruiting services indicate UMass is interested in Jake Byzcho, a 6-3 240 pound DE from Lawrence Academy in MA. 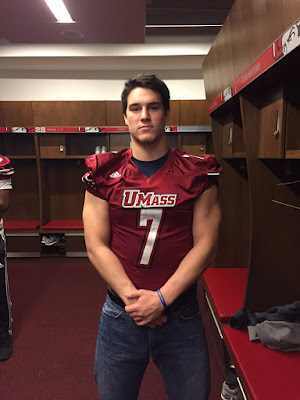 Attended UMass' Junior day back in February. Also visited UConn and BC. UMass has an updated video from UMass' Pro Day. Jamie Cushman of the UMass Daily Collegian has a post with quotes from Tajae Sharpe and Blake Frohnapfel about paying college athletes. Sidelionreport.com has a post on Blake Frohnapfel. The Boston Globe has more on BC's declining to play another game at Fenway Park. Mykelti Williams, a four-star recruit, who is a redshirt freshman at Notre Dame, is seeking to transfer. Florida's HC Jim McElwain has had his salary boosted to $4.25 million a year. I guessing that's more than Coach Whipple makes. Maroon & White Nation predicts Mississippi State will go 8-4 in 2016 with a win over the Minutemen. Lots of NFL scouts showed up. See below. Thirty NFL teams were represented. Dan Malone has an interview with Tajae Sharpe. Dan also has an image gallery of the workouts. Matty Vautour has a story and quotes from the players. Matty also has Jean Sifrin's NFL Dream is still alive. The Detroit News reports the Lions are looking at Blake Frohnapfel as a developmental QB. MLive has a story on Detroit's interest in Frohnapfel. RotoWorld thinks Frohnapfel has the arm strength, needs to work on his mechanics. 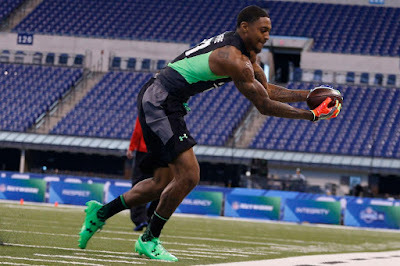 Anthony Chiusano of the UMass Daily Collegian features Tajae Sharpe at Pro Day. He also reports on Jean Sifrin's second attempt to make the NFL. RotoWorld reports on Tajae Sharpe's Pro Day. "colleague Daniel Jeremiah noted during the Senior Bowl practice week that no other wideout consistently gave opposing defenders fits the way Sharpe did." UMass vs UConn at Fenway Park? BC Interruption thinks it could happen. In what is going to be one of the shortest recruiting waits ever for UMass fans, Kobe Marfo, a 6-0 185 pound CB from Readley Junior College in CA will declare today at 3:00 PM. This article also features Marfo. Marfo holds an offer from Rutgers. 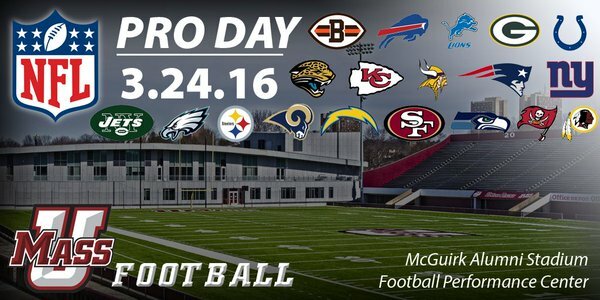 UPDATE: The UMass Football Twitter feed has some video and images from Pro Day. Today is UMass' Pro Day. There will be images and updates from the Athletic Dept later today. Dan Malone has the list of players participating here. Dan has an image gallery from practice #4. Dan Malone has a post on Ross Comis' bid to the Minutemen's starting QB in 2016. Matty Vautour has a story about Lamarriel Taylor and the other UMass WR's who are looking for playing time in 2016. Jalen Williams and Bernard Davis are coming off medical redshirts. Shakur Nesmith leads the returning receivers in catches. He went 9-5 GP-GS 15-204 13.6 AVE 3 TD's 56 LONG in 2016 (fifth in receiving). Andy Isabella, at 5-9 187 and with his speed, could be a threat as a slot receiver. Andrew Cyr of the UMass Daily Collegian report Shane Huber looks to be the leader of the defense at the MLB position. Huber mentions LB Steve Casali, LB James Bowe, Jr and LB/Safety Teddy Lowery as having good Spring practices. I've blogged about A.J. 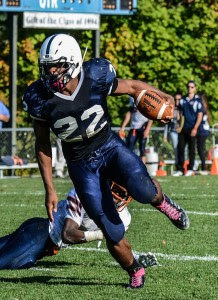 Dillon, a 6-3 230 pound RB/LB from Lawrence Academy, MA twice before. 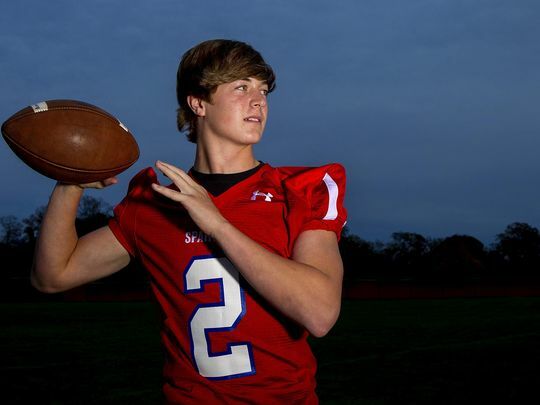 This article from 12/18/15 features him as the Private School Prep Star-of-the-Year. He recently released his top five interests. Dillon has 17 offers including Norte Dame, Florida State and other top Power Five schools. Above from Spring practice #3. Dan Malone has a short post on the practice, but a good number of still shots from the session. Matty Vautour has "Ross Comis looks to get a head start on the QB competition". Anthony Chiusano of the UMass Daily Collegian features Comis and SO RB Marquis Young. Matty Vautour has Coach Whipple's take on the Ivy League's no-tackling-in-practice rule. OT, but Notre Dame is leaving Hockey East for the Big 10. I totally lack the hockey gene, but I predict the Big 10 is going to change the landscape of college hockey. Hudl.com has video. Note the 4.81 40, which is outstanding for a OL. First Team Mass Prep Stars. Rappleyea holds FBS offers from UMass and Wake Forest, plus Ivy League offers from Harvard and Brown. 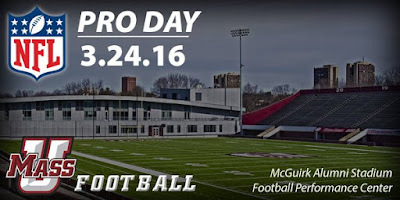 Andrew Cyr of the the UMass Daily Collegian says the Minutemen are preparing for the UMass Pro Day on Thursday. Note the reduced media coverage allowed this year. Cleveland.com has a post on Tajae Sharpe and the NFL draft. One Akron player mistakes another player for a burglar and shoots him. A Bleacher Report writer has a post from week #2 of the Gators Spring practice. Another writer has the Gators off to a rough start to Spring Practice. FIU plans to add two practice football fields, runs afoul of tree huggers. Several recruiting services report UMass has offered to Dajone Averett, a 6-3 195 pound WR/DB from West Philly Catholic in PA. Besides UMass, Averett holds an offer from Temple. I believe Spring Football camp resumes today after being shut down for Spring break. Proday is Thursday, you will remember. Biased Boston Sports has an interview with Blake Frohnapfel. NFL Mocks also has a post on Frohnapfel. Why Gillette is important to UMass' future: Georgia Southern has serious trouble getting teams to visit Statesboro. South Carolina's new offense has a bigger role for TE's. The Gamecocks will be starting a new QB this fall. New BYU offensive coordinator Ty Detmer is also re-emphasizing TE's. A Bleacher report writer thinks Mississippi State is one of a number of teams that could use a uniform redesign . 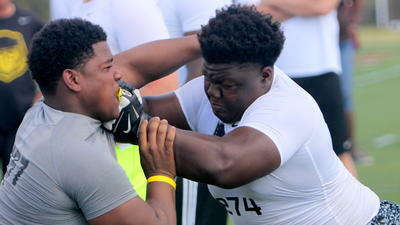 Several recruiting services indicate UMass has offered to Calvin Francis, a 6-2 295 pound OL/DL from Orlando, FL. This article from May of 2015 features Francis. As does this article from March 2015. Besides UMass, Francis has offers from Akron and Toledo. Brian Smith is learning the ropes at Michigan. The Dallas blog "Blogging the Boys" thinks Tajae Sharpe would be a good fit. Randall Jette and former UMass player Brian Dowling are preparing for the NFL Draft. Mississippi State is looking to fill a gigantic hole at QB. The former star QB for the Bulldogs just got arrested for DUI. SB Nation previews the 2016 Hawaii Warriors. BYU looks to rebuild its offensive line. The main qualification for this internship is being able to drink beer all summer. 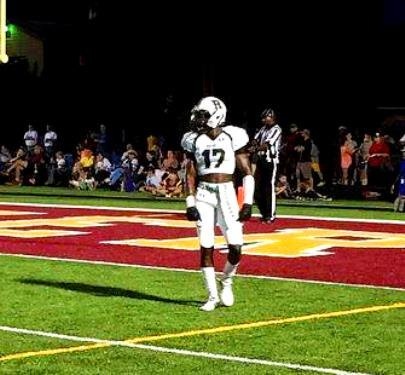 Several recruiting services indicate UMass is showing interest in Justus Harris, a 5-10 170 pound CB from Roswell, GA.
"I have offers from Elon and Mercer in addition to the one I have from Southern Miss," he said. "I'm hearing from Troy, Georgia Southern, Arkansas State, UMass, Ball State, and Jacksonville State right now." Also visited Troy during their Junior day. Former UMass player and coach Brian Smith debuts at Michigan. Smith's Michigan bio. Smith looks like he's still in shape to play. NJ.com has "Tajae Sharpe--Pascataway's next Pro"
"Sharpe has also benefited from playing in a pro-style offense at UMass, with head coach Mark Whipple, a former NFL assistant, running the show. "He definitely prepared me, helped my football intelligence a lot, helped me understand defenses and coverages way more than I did," Sharpe said. "I definitely have to give him a lot of credit as well. I played all over the field, inside, outside. I motioned out of the backfield, so I did a whole bunch of things." Old Dominion struggled with in-state recruiting this year. Besides 10 seniors, 12 additional players will not return to the Monarchs this season. Louisana Tech opens Spring practice. The Bulldogs look to reload after two consecutive 9-win seasons. Aggie football donors benefit the rest of Texas A&M too. “When we were raising money for Kyle Field, it was not uncommon for someone to give $10 million to build Kyle Field and another $10 million to the chemistry department or $10 million to engineering,” Sharp said." Several recruiting services report UMass has offered to L.J. Cummings, a 6-4 210 pound DE/LB from Bartow, FL. UMass is his first offer. Drawing interest from Florida, South Florida and Florida State. 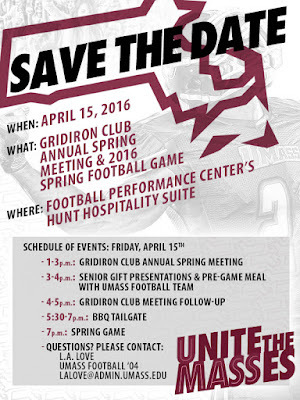 Great chance to join the Gridiron Club for all UMass fans. Want UMass football to win? You can make a direct impact by joining. 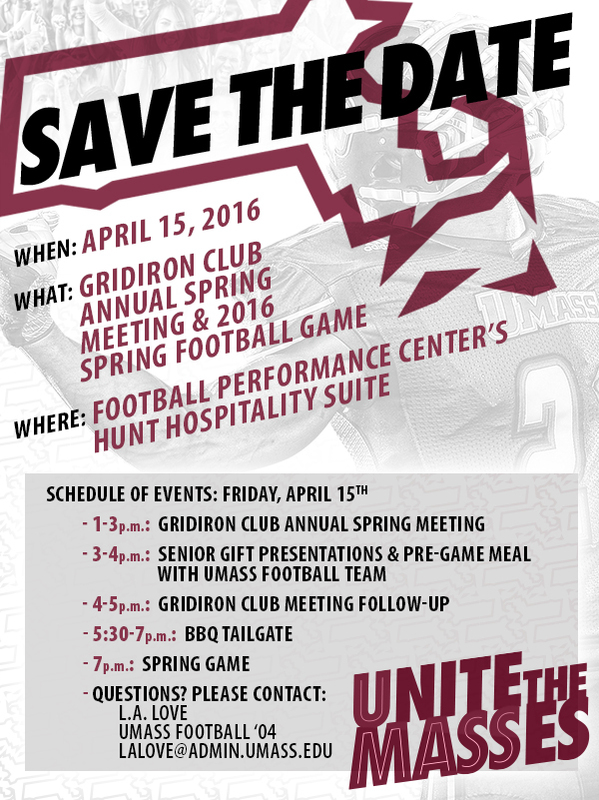 All funds contributed to the Gridiron club go directly to UMass football. It's not just the money; names on the gridiron roster really helps in the culture wars. SB Nation says the Bengals need WR's and Tajae Sharpe could be a draft pick. 247 Sports reports on free agent Vladimir Ducasse visiting the Ravens. Tulane starts Spring practice. New Tulane HC Willie Fritz is making waves off the field. ESPN looks at BC's winless 2015-2016 ACC season. The BC student newspaper notes the Eagles season ticket sales have dropped 60%. 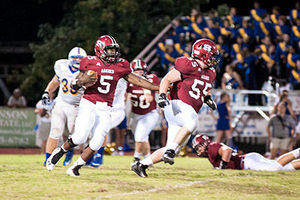 Several recruiting services report UMass has offered to Alex Thomason, a 5-11 193 pound RB from Sylacauga, AL. This article from August 2015 features Thomason. Besides UMass, Thomason has offers from Illinois, Troy and Columbia. Vladimir Ducasse takes a free agent visit to the Ravens. Two players leave the Florida Gators. Meanwhile Antonio Callaway's attorney says he should be reinstated. ESPN has "What would have happened in 2016 if college football had a 68 team playoff?" Last two out Michigan and Baylor. Boston.com says BC is over matched in the ACC. BC Interruption looks at ways for the Eagles to get out of the hole. 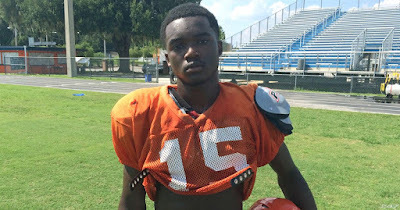 Several recruiting services report UMass has offered James Green, a 6-1 205 pound safety from Orlando, FL. 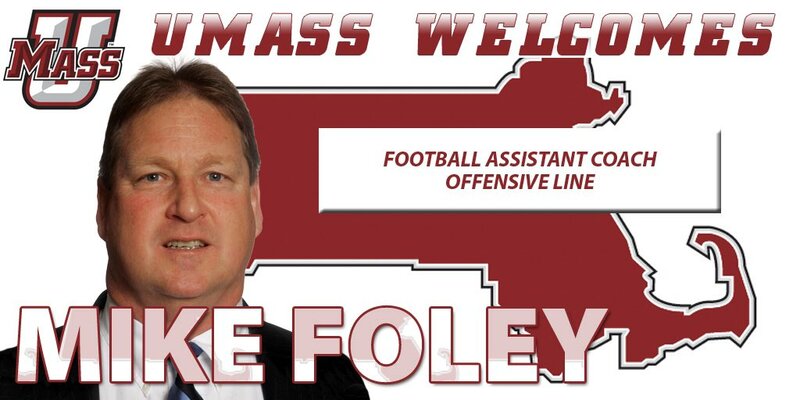 UMass adds two assistant coaches. UMass press release. Dan Malone has a post on the addition of the two coaches. 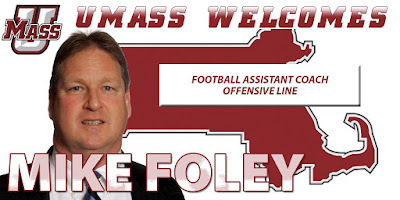 Foley was OL and TE coach for UConn for nine years. Palermo was OL coach at Austin Peay. Today's U says Blake Fronapfel looks to crack the NFL Draft. Garnet and Black looks at the Spring status of South Carolina football. Says the UMass game is "winnable". The NY Times says UConn football is not Power Five capable. OT, but Kentucky wins the SEC tournament and then gets seeded lower than the team they beat; Calapari is not happy. UMass will have it's Pro Day on Wednesday the 23rd. Lot's of potential free agents among the seniors. The Sun-Herald talks about what will happen if the Big 12 raids the AAC for new members. The article says UMass could receive support from UConn and Temple to join the AAC. If UMass' football program could show some improvement, it would certainly help the Minutemen's chances. Many readers have already seen the Globe's piece on the state of BC's athletics. The Eagles have gone 0-27 in ACC football and basketball this year. Since 2010 the Eagles have managed a 23-45 record against FBS teams (That's an average of a little under four FBS wins a year). Things are not likely to get better soon as BC has been rated last in ACC recruiting for five of the last six years. 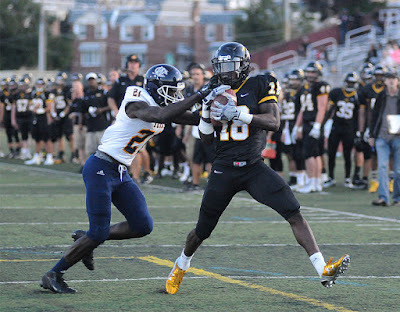 The Eagles will not take a large class of JUCO's or transfers, so it will take a while to build their way out of the slump even if recruiting picks up. They have more hope in basketball, where one or two players can make an impact. One interesting tidbit from the article is BC's athletic budget is twice UMass'. Part of that is the income from the ACC. Could the ACC do to BC what the Big East did to Temple? My other thought is it's bad to have a clergyman as your CEO. Remember what the infamous Fr. Brooks did to Holy Cross? BC badly needs some professional management. What does this mean for UMass? Well, it means BC is not "Massachusetts" team, let alone New England's team. There's a window of opportunity for the Minutemen if A.D. Bamford can grab the chance. The Boston/New England market is a top-20 media market. There's plenty of room for the three New England FBS teams. I have a number of friends who don't care a fig about the Patriots. UMass basketball had plenty of fans in New England when Calipari was here. There's a big college sports vacuum in New England. UMass could be part of filling that void, if we get our act together. BC's plight also show's something I've frequently preached about here. UMass needs hard-nosed results oriented sports management. 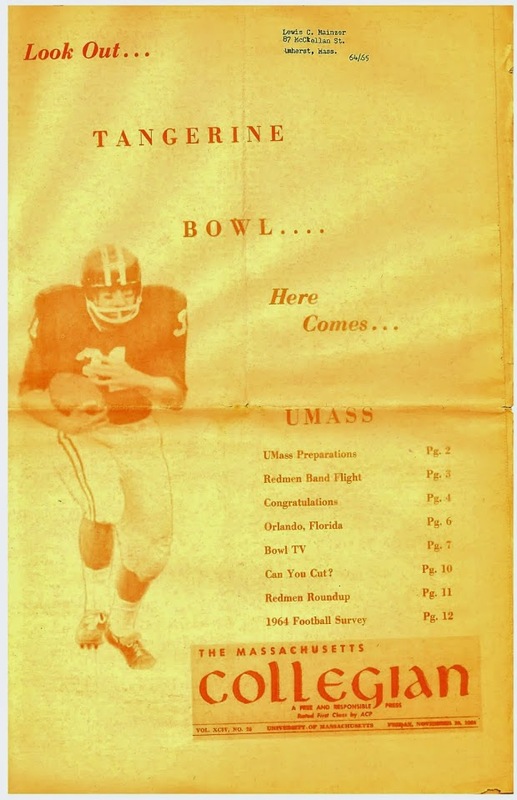 Too often often there's been a county club atmosphere around UMass athletics. The opportunity is there; Go UMass! BC Interruption's take on the article. The Florida Gators have two key players suspended indefinitely. NFL.com says Tajae Sharpe has fantasy potential beyond 2016. Several recruiting services report UMass has offered to J.P. Roan, a 5-11, 175 pound WR from Williamstown, NJ. Visited UMass for the 02/21/16 UMass Junior day. Also did a Junior day at Rutgers. UMass is Roane's first offer. This article from July of 2015 features Freiermuth. This article from November of 2015 also features him. OK, I'm back. Let's start catching up. Some of this you probably already read while I was gone, but we'll see. Dan Malone on start of Spring practice. Dan has some notes from the first two practices. Matty Vautour has a post on the start of Spring practice. Boland, Henderson and Hoeller are sure starters. The left side of the line needs to be rebuilt and we need a starting center and backup. Dan DiNicola had a strong game against Buffalo and should be in the mix. Khary Bailey-Smith and JUCO Teddy Lowery would be my picks as the safeties starting against the Gators. With Jamal Wilson, Lorenzo Woodley, Shadrach Abrokwah, Manwon Brisbane and Andy Isabella (moved to WR) gone, Sekai Lindsey and Marquis Young are the likely one-two at RB for the Minutemen. Victor Cruz is staying with the Giants abet with a big pay cut. The NT Post has some quotes from Cruz. UPDATE: Hi everyone. It looks like the Blog is going to stay inactive until Friday. I expected to have better Wi-Fi during the second half of our trip. That is not the case. I can edit, but the connection in very slow. I'll start catching up with UMass football news and recruiting Saturday the 12th. Mrs Blog and I will be traveling for the next week. The Blog will not be updated again until probably next Tuesday (the 8th), due to limited Wi-FI access. 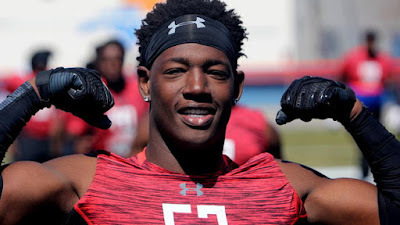 Several recruiting services indicate UMass has offered to Nick Smith (good name), a 6-3 205 pound OLB from Orlando, FL. This article from yesterday's Orlando Sentinel reports on his recruiting status. "Smith is off to a great start. He’s coming off a junior campaign where he recorded 91 tackles, six sacks, 24 tackles for loss and a pick. 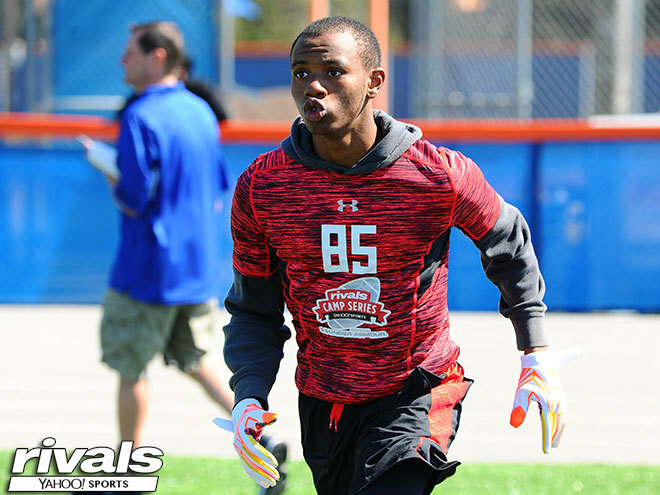 Moreover, Smith has solid grades in the classroom, and a growing offer list to boot. Smith holds offers from Cincinnati, Florida Atlantic, Louisville, Iowa State, Maryland, Nebraska, North Carolina and Old Dominion. BYU officially announces its 2016 schedule. Coastal Carolina joins the Sun Belt in 2017, their first FBS game ever will be home against UMass. CBS New York says a prove-it deal is the only way Victor Cruz stays with the NY Giants. The Florida will sell alcohol at Gator football and basketball games this year. 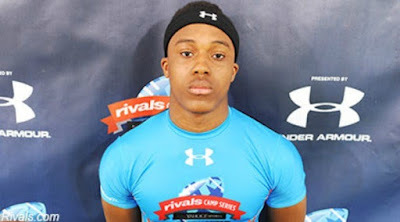 Several recruiting services indicate UMass has offered to Deandre Fitz-Henley a 6-0 220 pound MLB-FB from Clearwater, FL. No. 80 in Top-100 Pinellas County players. Tampa Tribune's 2nd team All-County. UMass is Fitz-Henley's first FBS offer. 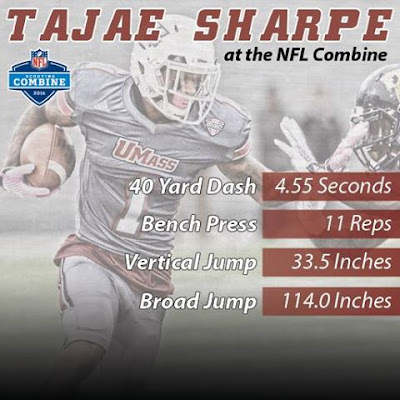 Waiting for Next year has some Combine observations including Tajae Sharpe. A Fantasy Football site says Sharpe has "sticky' hands. Don Brown is having a "blast" at Michigan. Brown talks about the Michigan defense and his move to the Wolverines. Pride of Detroit looks at the James Ihedigbo-Lions status. This article by NJ.com features new Jersey quarterbacks. One of the QB's mentioned is Kenny Picket, a 6-3 195 pound pro-style passer from Oakhurst, NJ. "What's amazing to me is that there are guys right now who have a lot of hype and a lot of offers, but Kenny Pickett is out there grinding," he said. "And if I'm a college coach. If I'm Rutgers, if I'm UConn, if I'm Syracuse, if I'm Boston College, If I'm UMass, and I don't have this guy at the top of my board, then there is probably something wrong, right now." This article from from November 2015 features Pickett. Pickett currently has FBS offers from Temple, Toledo and Buffalo. 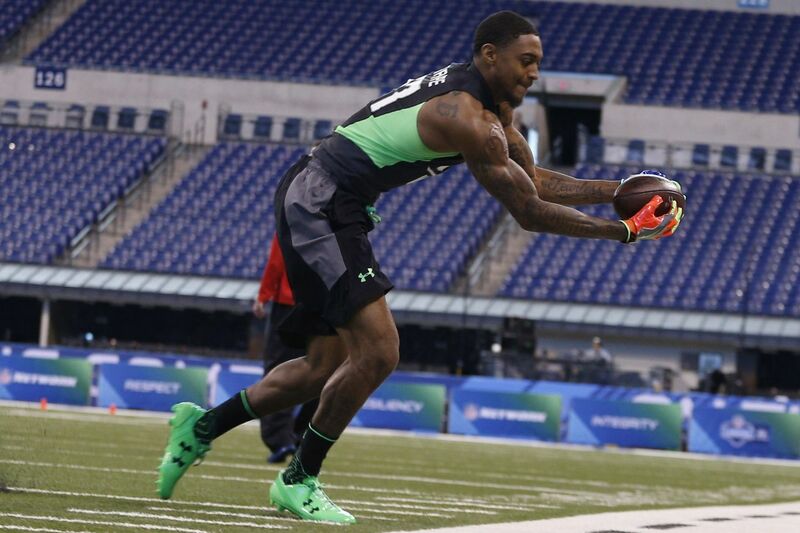 Dan Malone breaks down Tajae Sharpe's performance at the NFL Combine. My 2-cents is one of Sharpe's best strength's is his route-running. During Whipple's first stint as HC here I listened to a talk he gave on offense. He felt (as an offensive guy), if the receiver ran correct, crisp routes, the DB was at a strong disadvantage. Whipple felt that if the receiver and the QB ran the play correctly, they should be able to have a completion every time. Yahoo Sports thinks Sharpe will make an impact in the NFL. All the WR 40 times from the Combine. Hustle Belt has all of Sharpe's numbers from the Combine. Jim Harbaugh raves about Don Brown, confirms Brian Smith as DB coach. Harbaugh calls Brown a "Ball of Fire". The NY Daily News says Victor Cruz and the Giants need each other.